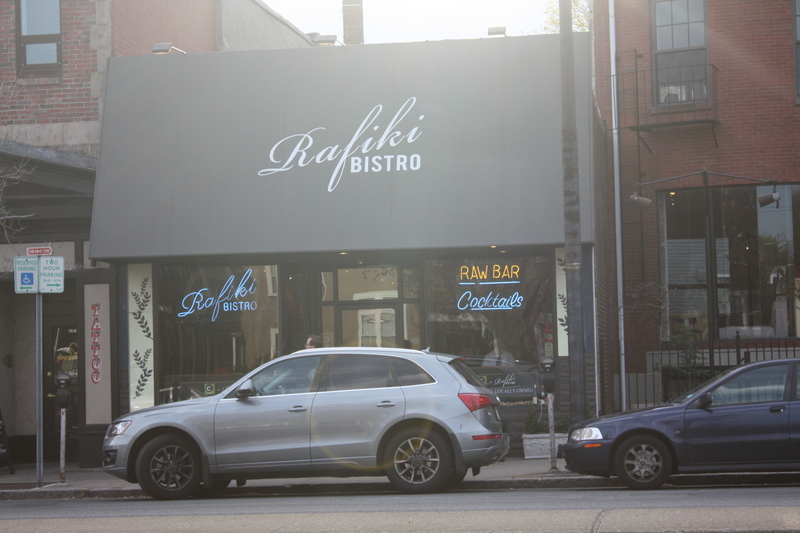 Given how much we appreciate French dining, particularlly Mistral and Bistro du Midi, we were looking forward to trying Rafiki Bistro. 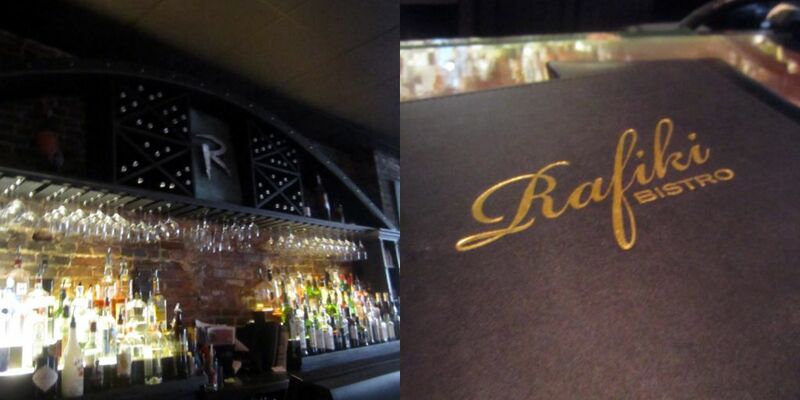 Rafiki is located in Porter Square and once was a former vegetarian restaurant, but is now a French Provencal bistro. As I was waiting for my friend to arrive, I devoured the most recent Edible Boston, which focuses on local food and featured Rafiki. It was quite fortuitous my friend and I had a voucher and that we both had never been. Rafiki (which means friend in Swahili, but I always think of Disney’s Lion King character) has a raw bar, as indicated on the neon sign in the window. In fact, we were almost served some oysters ordered for another table, which we would have happily enjoyed, but we would have felt guilty. Rafiki has a spacious dark wood bar area and has a good selection of wines, but a limited menu of specialty cocktails. Initially the bar was empty, but did get a bit busier as the evening progressed. Our bartender was very friendly and mentioned she has a sister-in-law from Hue, Vietnam (where our grandfather grew up). The menu is simple and serves duck breast, coq au vin, beef bourginon and croque monsieur. We definitely are still curious to try the pan seared duck and French ham and cheese sandwich. The refreshing Cucumber Cool ($10) has Absolut, Elderflower liquer, mint, lime and cucumber and it was light and very clean. 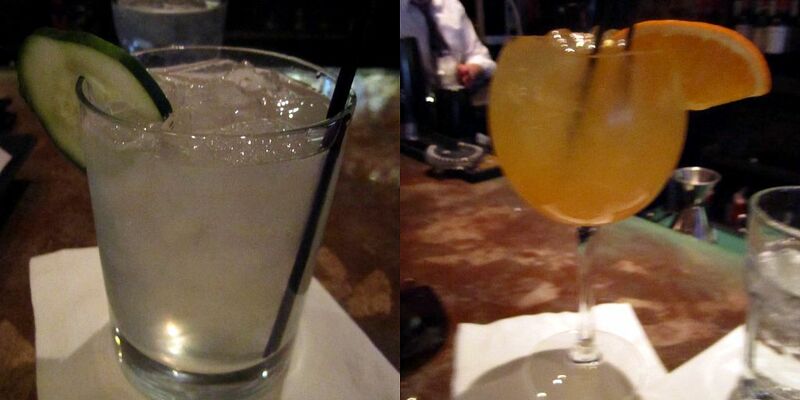 My friend enjoyed a White Sangria with pinot grigio and ginger apple liquer for $8. 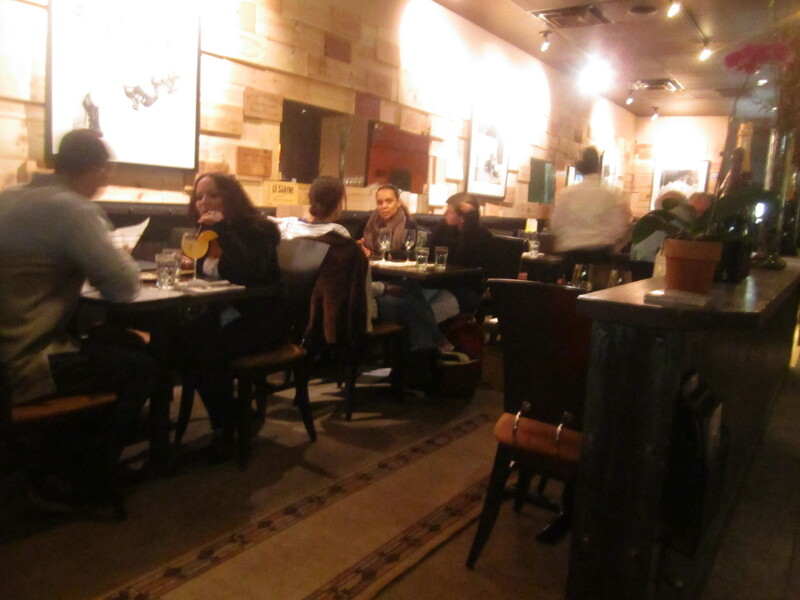 The ambiance of Rafiki is cozy from the warm lighting and dark wood. We started off with some complimentary white bean dip and slices of bread. The white bean dip and bread could be elevated further. 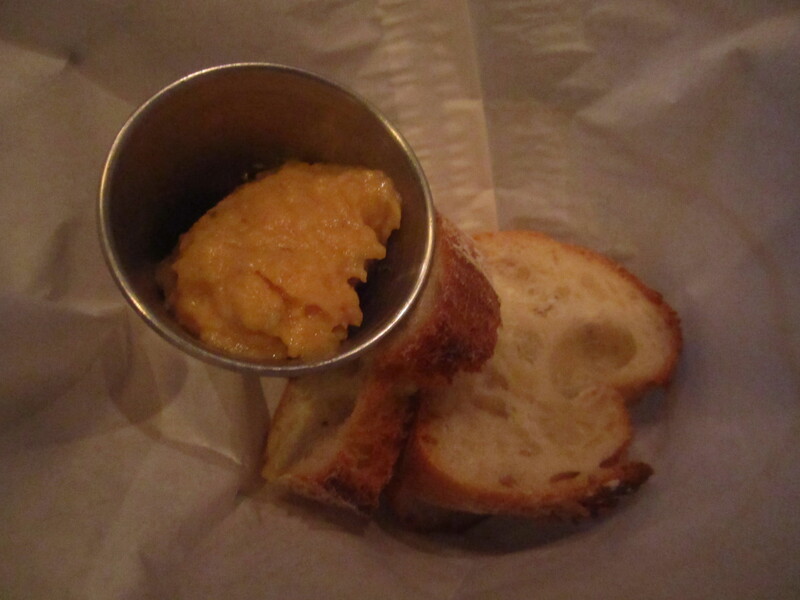 It would have been great if the bread was crustier and the dip had another layer of flavor. 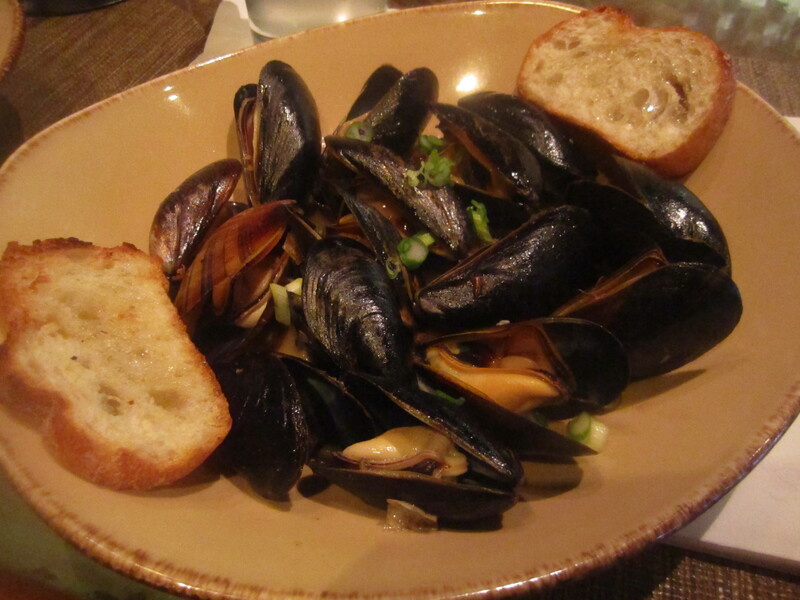 The owner brought out our PEI Mussels Provencal ($12) and they were perfectly cooked and flavorful. I loved the aromatics from the capers, wine, lemon and the best part was the roasted garlic pieces. I wish there were just a handful more of the roasted garlic, toasted bread and more mussels. My friend mentioned that I should check out Stoddard’s Fine Food & Ale in Downtown for a generous bucket of bountiful and tasty mussels. Our Steak Frites ($22), an all natural grass-fed sirloin, was juicy, the perfect temperature and we loved the grill marks. 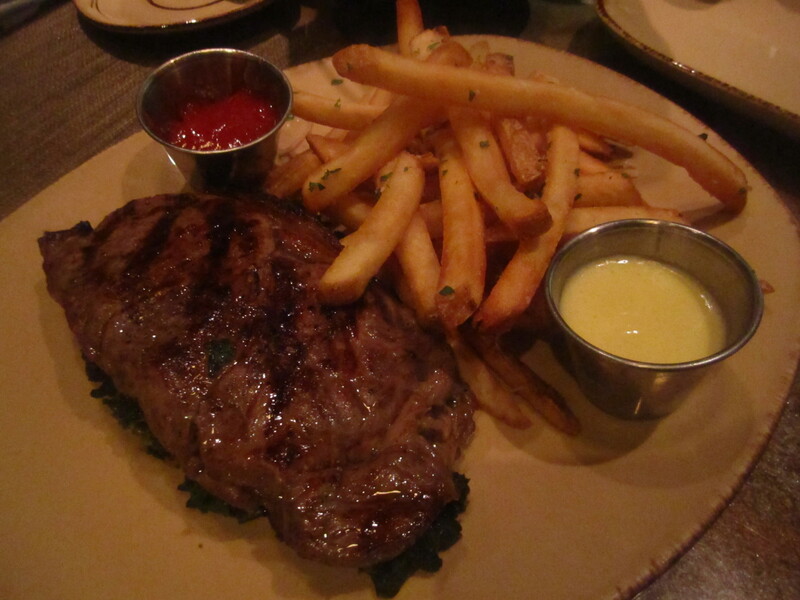 The bearnaise was rich, lemony and perfect for the fries. The braised greens under the sirloin absorbed some of the beef juice and had a good bitterness. The fries were a nice thicker cut than the shoestring type and had a nice crispness. Patrons tended to be ore established and seasoned professionals. 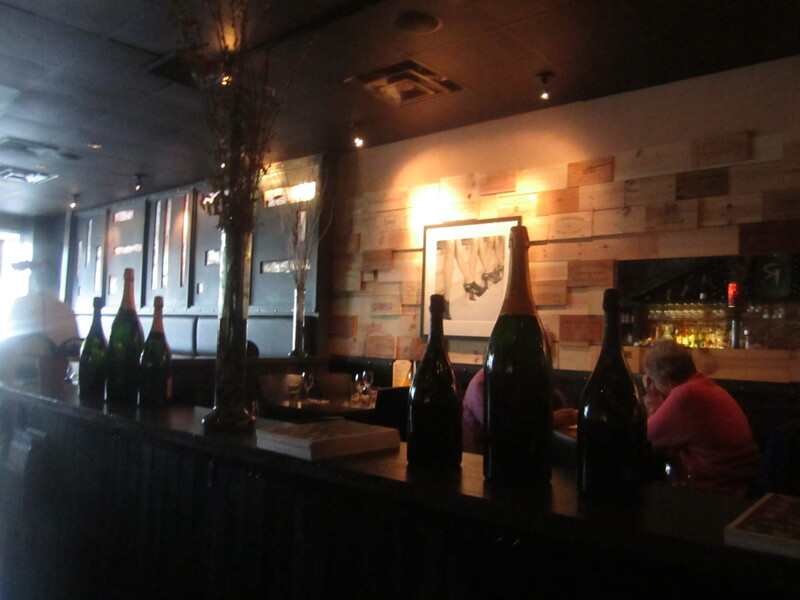 By the time we left the bistro, the restaurant was buzzing and all the tables were filled. We would return for some bistro fare, if we were in the neighborhood.